Scroll down to place your order! All catering orders must be placed by April 12. 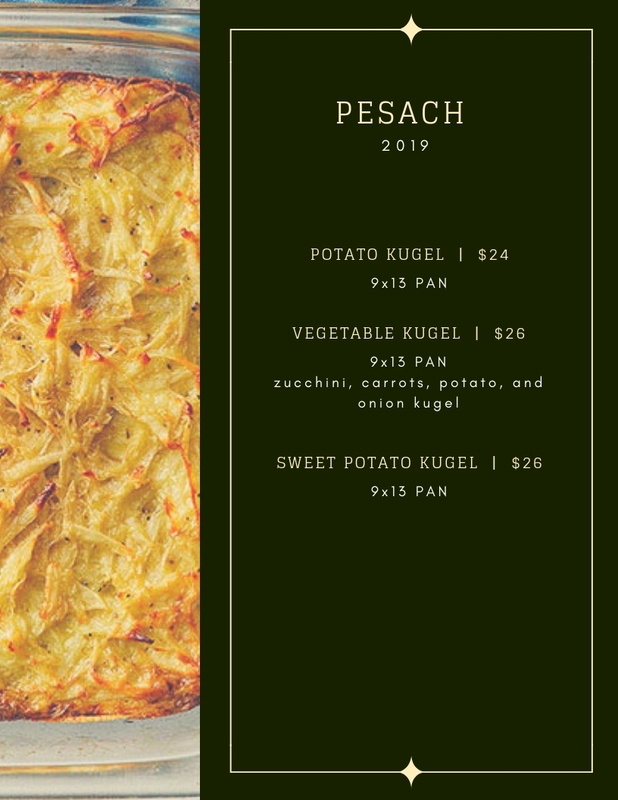 How many Sweet Potato Kugel's would you like to order?